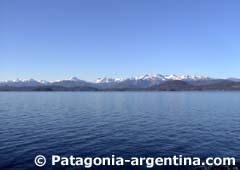 Home > Andean Patagonia > Bariloche > Los Alerces N.P. 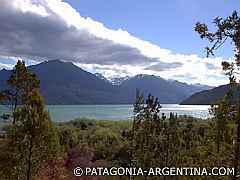 Next to Lago Puelo National Park, you can find this beautiful Park, that comprises 263,000 hectares in western Chubut province, over the front-line with Chile. 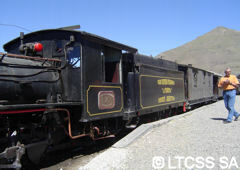 It was created in 1937 to protect the “lahuán” or larch, typical and massive tree of the Andean-Patagonian flora. This charming Park’s landscapes are made of lakes surrounded by cypress carpeted hills, lenga and coihue woods, as well as lots of rivers and streams that begin and end in these lakes, conforming a beautiful lacustrine system. The larch (“alerce”), a majestic giant, has its biggest exemplars in this Park. You will find them mainly near the margins of Lake Menendez where they can reach sixty meters, with logs as big as 3 meters wide. And some of these trees are 3,000 years old. Among the endangered fauna species sheltered in this National Park, you can find the huemul, pudú, araucana pigeon and huiña cat. Also, there are birds like chucao, the black Patagonian carpenter and zorzal. The primitive cultures that lived in this region left their traces, specially at two sites, both on River Desaguadero: the Alero del Shamán and the Interpretation Path. There are rock paintings with grecas and assorted symbols. Inside this Park there are many pedestrian paths, as well as some for vehicles, horseback rides and cycling. There is a great, beautiful area when going from the short Arrayanes river up to the famous Alerzal on the north branch of lake Menéndez. 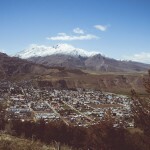 The closest town is Esquel, gateway to this Park. From there you must take National Route 259, then Provincial Route 71 which traverses this Protected Area. 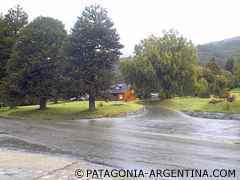 Along this route you reach Villa Futalaufquen, head of this National Park’s administration. You can obtain information as well as purchase the fishing licenses. There is a gas station, tea houses, hostels (one of them very exclusive) and gift shops. There are other places inside the Park where you can find more hostels and cottages for rent. Later, if you continue along the route, you can join National Route 258 up to El Bolsón. The city of Esquel is also connected with the rest of the country via its airport.